Let’s share insight and practical ideas. Let’s blend fun with function, and LET’S SHOW STUDENTS HOW TO CELEBRATE LEARNING! What’s under the magic hat? Makings for a celebration! Opportunities to catch and keep kids’ attention…with easy to plan and quick to host celebrations. A magic hat itself is an attention-grabber. If you don’t have one in your classroom yet, Halloween (a week away) is a great time of year to find one – an inexpensive “witch’s” hat, like you see in my blog pic above. A creative teacher can instantly turn a witch’s hat into a magic hat. -Abaracadabara – done! 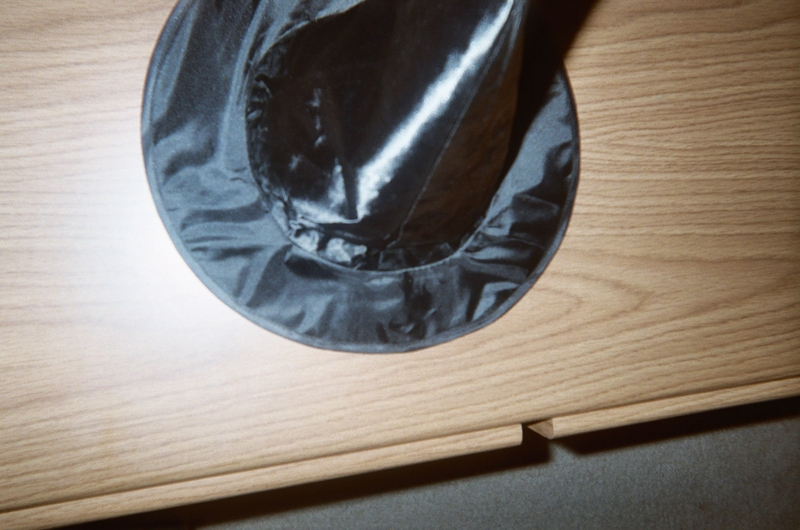 Black is my favorite color for a magic hat, but I’ve recently seen “witches” hats in all kinds of colors. Buy or make more than one hat for making magic in different subject areas, if you like: red for science experiments, purple for math tricks, black for magical reading and writing. Choose what works for you. Here’s an idea…celebrate Halloween with your class this year (if school policy allows recognizing Halloween) by introducing your magic hat. Surprise the kids by making the hat pop up from under your desk. Tell them that your magic hat turns learning into magical opportunities; then begin a lesson. Let students help you unwrap the magic of learning. MAGIC OF LEARNING, like you see in my blog pic here. This is another easy and quick activity. Buy a pre-wrapped gift box or wrap one yourself (be sure to wrap the box and lid separately so that the lid is easy to pull off) and fill it with educational materials. Notice that I’ve included a sign on top of the gift box that shows many subject areas in elementary education. 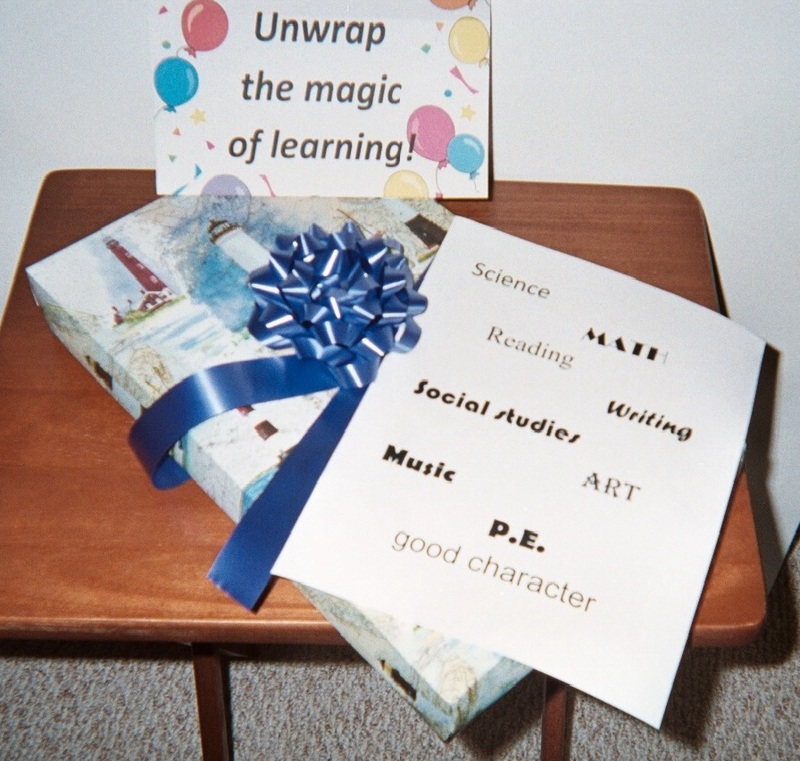 Wrap up your learning gift box with whatever focus you choose, reading, math, etc. Unwrap the Magic of Learning can serve as an attention-getting PTA program as well as an effective classroom management and teaching tool. Some of the best gifts in the world are opportunities to learn! Everyone loves to get gifts, especially in colorful gift wrap. “What’s inside?” is the question on everyone’s mind. 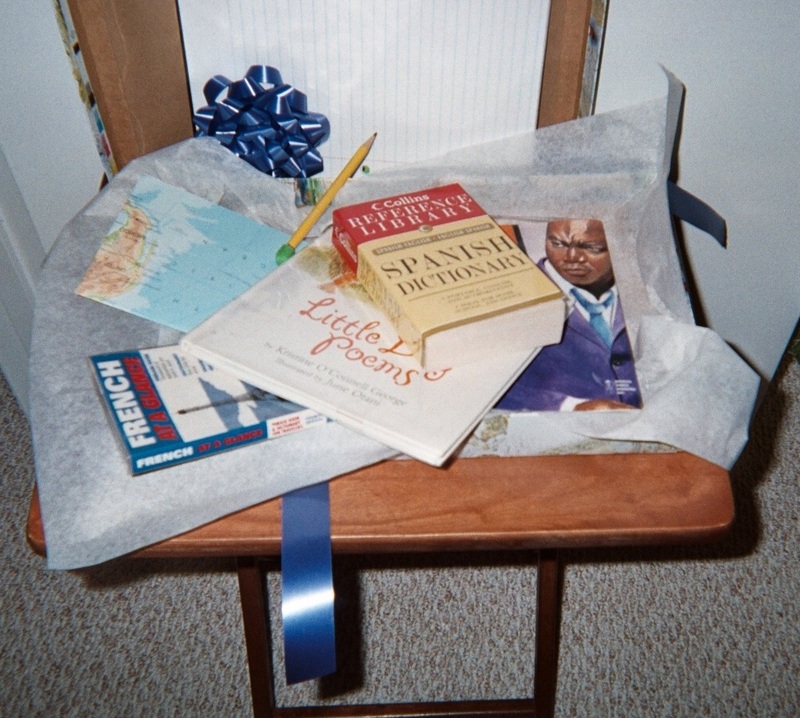 As you can see in my blog pic here, the learning gifts inside include a map of the world, two language dictionaries, a book of poems, a story book, paper and pencil. You can wrap up more than one gift box with different educational materials throughout the school year. Lead a class discussion on how gifts of learning can help children in school and when they grow up. For example, in our “global economy” it pays to know the names and locations of countries around the world. UNWRAP REWARDS – Plan a different celebration with a GOOD JOB GIFT BOX to motivate students in extra ways on test days or other special occasions. Use this Good Job Gift Box for special occasions only, not during regular school days, especially if you already use a reward system in your classroom that features treats of some kind. Fill the Good Job Gift Box with small “treasures,” like new erasers or bookmarks. Show the box to your class at the beginning of the special day. Explain that you have gifts to give at the end of the day to students that stay focused and on task. Celebrations usually include refreshments, and that’s always an option. My experience tells me that surprise-packed magic hats and gift boxes offer kids so much “eye and mind candy” that they won’t be thinking about edible treats when you unwrap the magic of learning!